When a sandbar developed off the shore of North Carolina’s barrier islands in spring 2017, some experts said that the feature was likely to be short-lived. They were right. 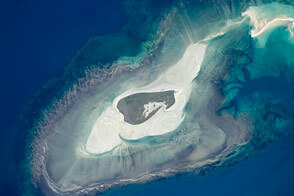 Since then, a series of storms has redistributed the sand and the so-called "Shelly Island" is no longer an island. 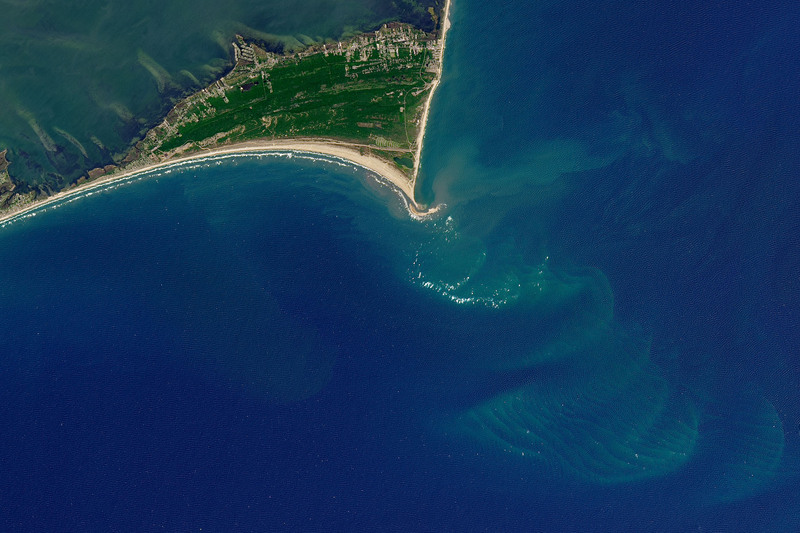 The Operational Land Imager (OLI) on the Landsat 8 satellite acquired these views of Cape Point at Cape Hatteras National Seashore. The top image shows the area on July 7, 2017, when the island was still growing. (It peaked at 27 acres in late August 2017, according to news reports.) 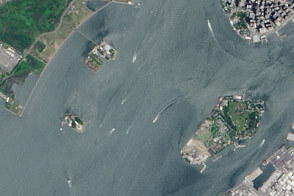 The second image was acquired on February 16, 2018, after the island had disappeared. Turn on the image-comparison tool to see the change. The reasons for the island’s formation and evolution are complex and not entirely clear. 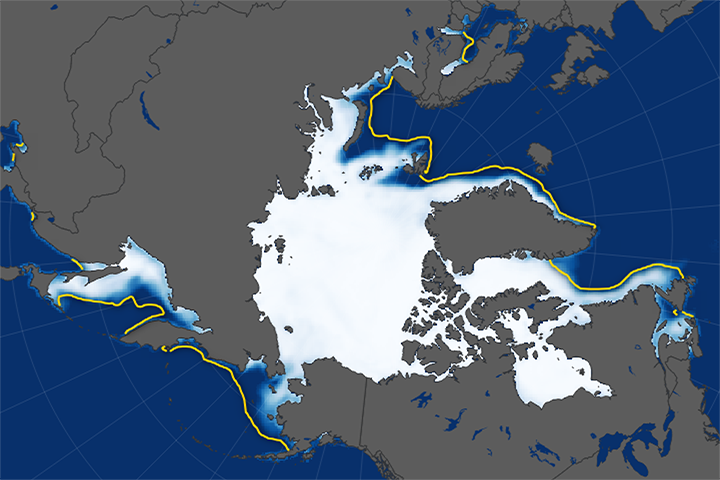 Coastal scientists have speculated that weather conditions were just right in 2017. Winds were strong enough to stir up the waves and currents that carry sand alongshore from the more northerly barrier islands toward the cape. 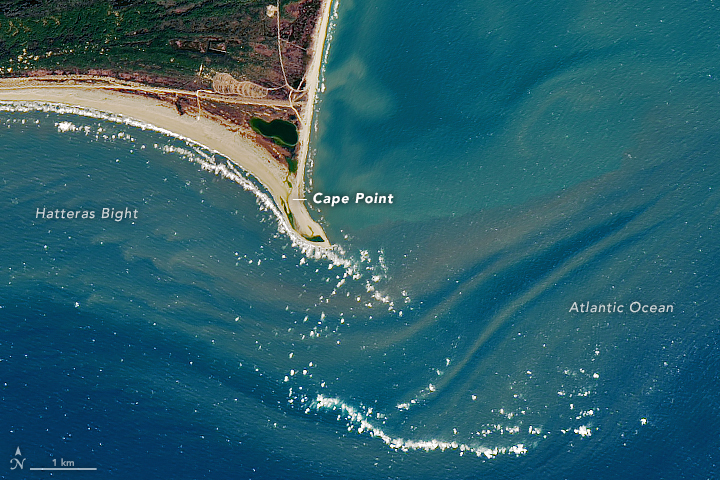 Then winds became calm enough for that sand transport to be halted by obstacles such as circular currents within Hatteras Bight and the expansive shoals of the cape. Sand accumulated, an island grew, and tourists flocked to the area to witness the spectacle. The reasons for the island’s demise are somewhat clearer. 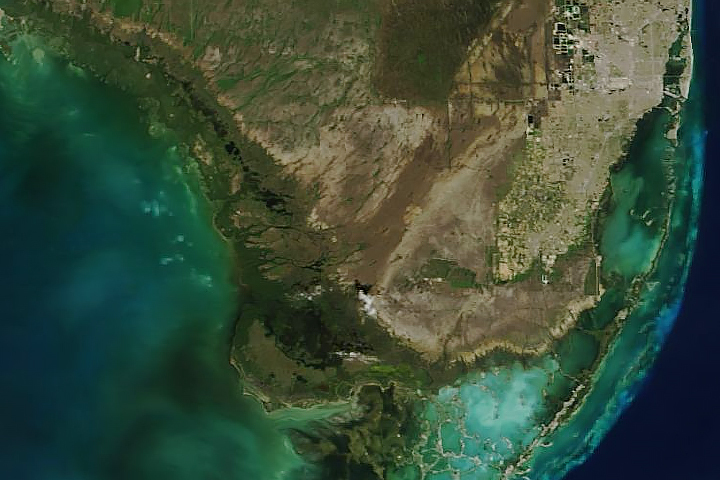 Erosion occurs all of the time on barrier islands, but it was especially acute in the fall when it was fueled by a series of hurricanes, including Irma and Jose in early September, and Hurricane Maria later that month. 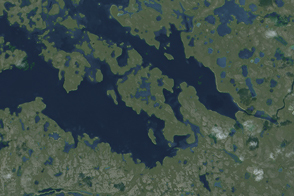 According to news reports, the storms split the island; one half became connected to the tip of the cape, while the other tiny remnant remained isolated. Winter storms continued to batter what was left of the island and wash it away. 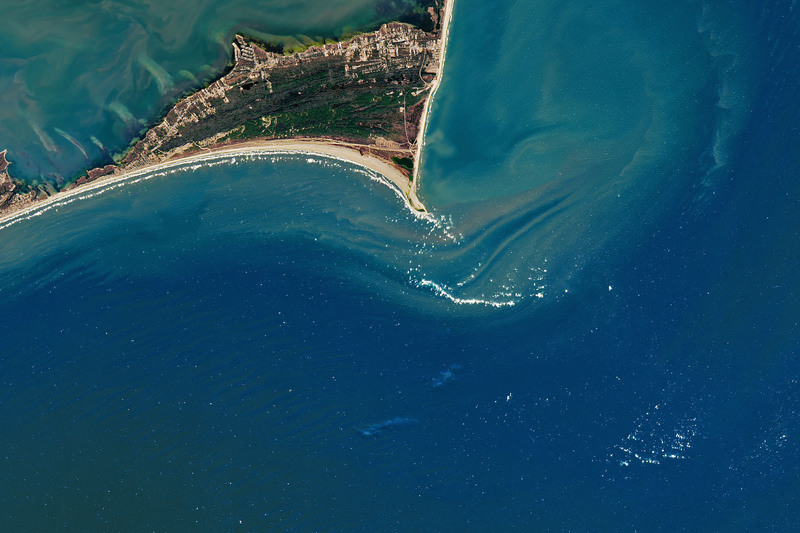 Despite the public attention paid to the rise and fall of Shelly Island, such swift changes are common along barrier island systems. The shoreline and cape tips along North Carolina are constantly in motion, as waves and currents redistribute land-building materials. 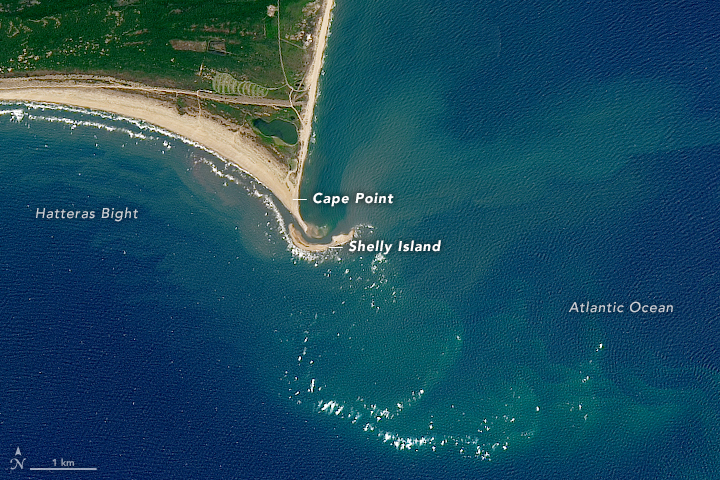 A series of storms has redistributed the sand and the so-called "Shelly Island" is no longer an island. The Charlotte Observer (2017, October 1) That strange new NC island mystifies the world yet again. Accessed March 7, 2018. The News&Observer (2017, September 17) Shelly Island is gone with the wind – for now, anyway. Accessed March 7, 2018. North Carolina Sea Grant (2018, March 19) Where in the World Is Shelly Island? Accessed March 19, 2018. North Carolina Sea Grant (2018, March) North Carolina Sea Grant: Your link to research and resources for a healthier coast. Accessed March 7, 2018. North Carolina Sea Grant (2017, August 15) New Island Sheds Light on Ever-Changing N.C. Coast. Accessed March 7, 2018. The Outer Banks Voice (2017, September 29) Storm rearranges new island off the Point on Hatteras. Accessed March 7, 2018. The Outer Banks Voice (2017, September 20) Irma builds bridge between Hatteras Point and Shelly Island. Accessed March 7, 2018. The Outer Banks Voice (2017, August 14) Science behind Shelly Island says it won’t be around long. Accessed March 7, 2018. The Virginian-Pilot (2018, February 23) At Cape Hatteras National Seashore, business was booming in 2017: Best in 14 years. Accessed March 7, 2018. The Virginian-Pilot (2017, September 15) Shelly Island is no longer an island ... for now. Accessed March 7, 2018.